Rep. Cathy McMorris Rodger celebrates yet another solid victory in November of 2018. The speculation over whether Rep. Cathy McMorris Rodgers would run again was understandable. 1) Mayor David Condon will finish his eighth and final year as mayor of Spokane this year, leaving him looking for a new job. 2) As as a resident of the South Hill, Mayor Condon lives in pretty darn liberal Legislative District 3, making a run for state Legislature particularly difficult. 3) Mayor David Condon was once deputy chief of staff for McMorris Rodgers. 4) For the past year, Condon has taken a more adversarial role toward the City Council, including advocating against a tax increase to keep firefighters and add more police officers. It's the sort of thing you'd do if you were trying to bolster your conservative cred to, say, win in the conservative 5th Congressional District. 5) Meanwhile, McMorris Rodgers decided not to run for House leadership after her re-election. 6) Similarly, despite her decisive victory over her opponent, Lisa Brown, last year, McMorris Rodgers has shown a more moderate face in some instances. While she hasn't supported completely restoring net neutrality provisions. She's pushed for a bill to make “blocking,” “throttling” and “paid prioritization” of internet services illegal. 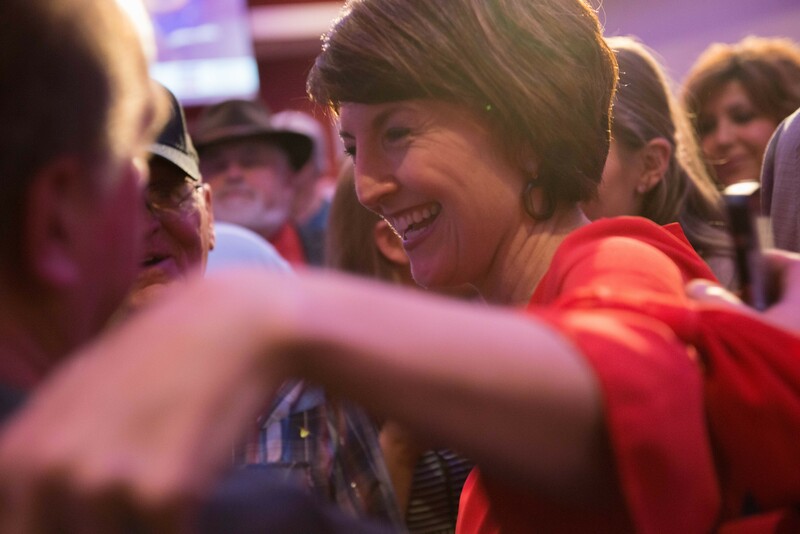 7) McMorris Rodgers took the rare step of not only criticizing President Donald Trump rhetorically, she stood for her principles and officially voted to disapprove of Trump's national emergency declaration. By contrast, Sen. Ben Sasse (R- Nebraska), who has been a far more vocal critic of Trump than McMorris Rodgers ever was, didn't show the same sort of backbone. One reason why Sasse may have shrunk from his prior commitment? He's up for re-election in 2020, and may not want to risk a primary. So in the last few months, there's been a fair amount of murmuring predicting that McMorris Rodgers would choose not to run in 2020 — and outgoing Mayor David Condon would run for his old boss' seat instead. Of course, that could eventually change. Politicians are famous for saying they'll run for something or won't run for something only to suddenly shift directions. Sometimes it's because circumstances change. Other times it's because they're less-than-forthright about their plans. But here, at least, McMorris Rodgers isn't playing coy. Her denial is solid. Contrast that with the recent non-denials from a potential Spokane mayoral candidate — the woman who, as luck would have it, actually moderated last year's debate between Rep. Cathy-McMorris Rodgers and her opponent: Nadine Woodward. 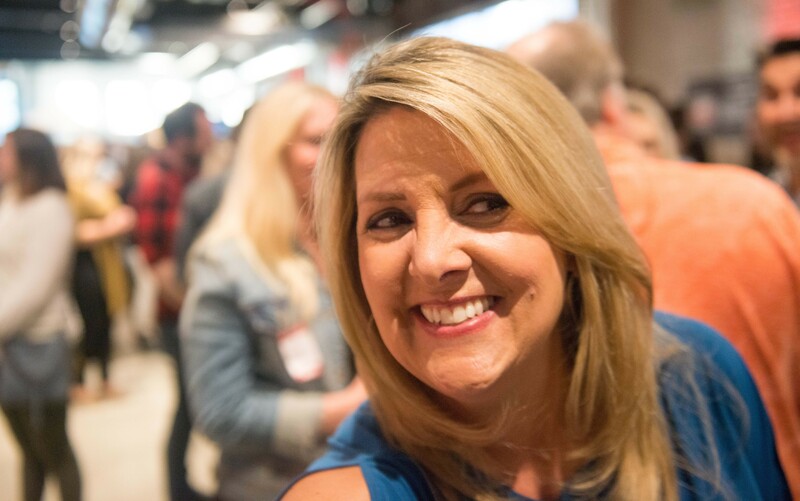 In the last two months, Woodward has gone from dancing around the question to, in a short interview at the Inlander's Best Of party, coming thiiiis close to confirming that she's running. "I'm leaning toward it. I'm leaning toward it," Woodward told us. "I don't have a timeline quite yet. I know you want a — everyone wants a timeline. But know that I am leaning toward it." 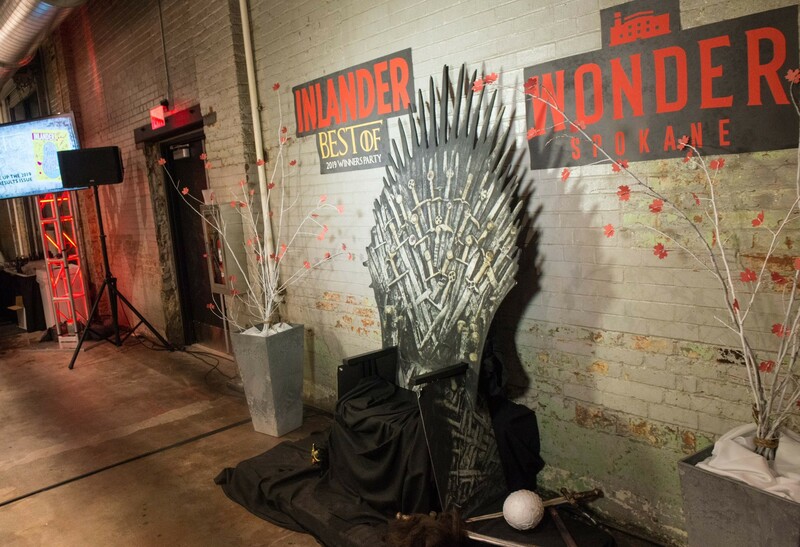 Sadly, Woodward declined to sit on the Inlander's cardboard Iron Throne, thus depriving us of the photo we would use for every mayoral campaign story that referenced her. Brace yourself. Mayoral elections are coming.